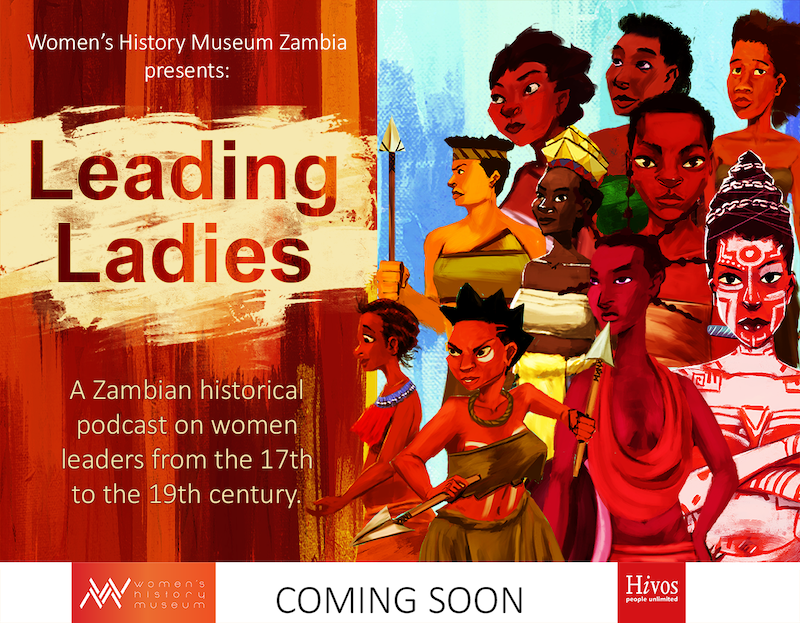 Women’s History Museum of Zambia today premieres “Leading Ladies”, a short animated Zambian podcast web series that tells the story of historical women between 17th and 19 th century who held significant positions of leadership. The animated podcast is a collaboration between the Women’s History Museum and Hivos Southern Africa Region. The museum sourced the stories from the documents of the National Archives of Zambia and partnered with local artistic talent to bring these stories to life. 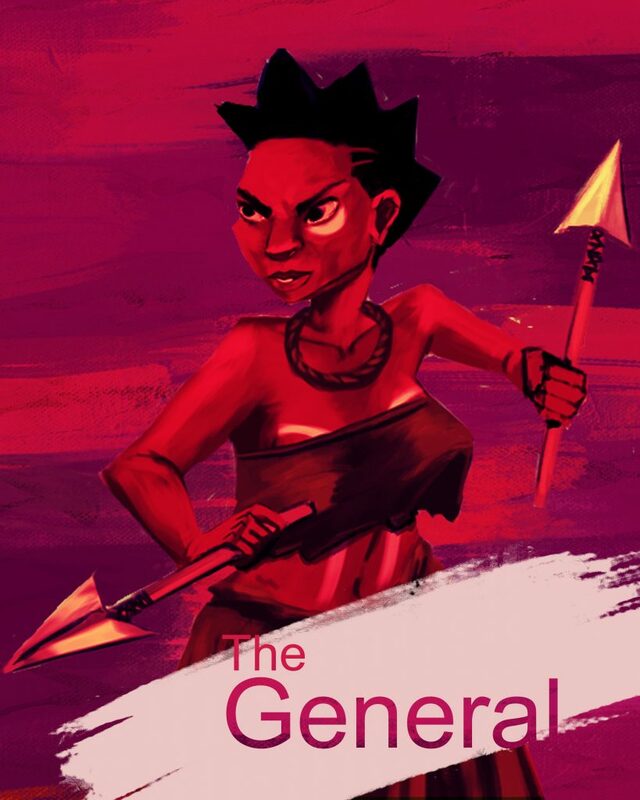 The stories depict women from all the 10 provinces of Zambia and have been given archetype titles that include: “The General”, “The Innovator”, “The Feminist”, “The Warrior”, “The Secretary of State”, “The Diplomat”, “The Peacemaker”, “The Head of State”, “The Politician” and the “The Power Broker”. The stories were written by Mulenga Kapwepwe and the podcast was produced by Samba Yonga, both who are co-founders of the museum. The soundtrack features Esther Chungu with the song “Mama”, produced by Mag 44. The illustrations were done by the young up and coming illustrator Black Rose the Artist. “These stories challenge the idea that, in the past, women were not capable of being leaders or contributing significantly to our societies”, says co-founder of the museum and story writer Mulenga Kapwepwe. The plan is to have it as a travelling exhibition which can be shared on many platforms such as radio and TV both locally and internationally. “The aim of the series is to highlight and mainstream these stories so Zambia’s historical narrative gains new knowledge and perceptions of women are influenced positively”, says partner co-founder and producer of the podcast, Samba Yonga. The series will start airing on the 27th of March, 2019 on all the museums online platforms. The web series will be free and available for everyone to access. The Women’s History Museum of Zambia was set up to document and revive narratives of African history with a specific focus on women. • To research, preserve and restore African indigenous knowledge and living histories focused on women. • To introduce new cultural and historical knowledge through demystifying, popularising and functionalising indigenous knowledge. • To set an agenda of how African history on women is learned, how it is consumed and functionalised.